RKanwal: Who will you vote for? Farmer: We will vote for Narendra Modi. RK: But your leader is Ajit Singh, don’t you support him? Farmer: Yes we support Ajit Singh but we’ll vote for Modi, so BJP. Farmer: He is contesting first time from this region, so we will give him a chance. RK: But Modi has not done anything for you, why vote for him? Farmer: We have benefited a lot from Gujarat in our farming techniques and received a lot of help from Gujarat. The media has grown up on a diet that makes them feel villagers are dumb idiots who don’t think and just vote emotionally. Sitting in their studios for many years has alienated them from people. People vote not just emotionally but also by “experience”. The farmers explained they have had bad experiences with SP, BSP and Congress so they will take a chance with Modi. Kanwal found it hard to digest that there is indeed a Modi wave and like his fellow morons like Sagarika, Barkha, Rajdeep and other Hammamis he would like people to believe Modi is not a vote-catcher. The farmers aren’t just thirsting for better times but they are also thirsting for revenge against non-performers like SP, BSP and Congress as they stated. Just like the other actor called Rahul Gandhi who goes to villages and eats Dalit food, this Rahul also drove a tractor to feel like a farmer before meeting them. Driving a tractor doesn’t make you empathise with a farmer. It’s more like a joyride and fun. To understand someone it takes living their lives for a few days at least. Neither Rahul nor Sonia Gandhi has ever really done that. Modi has lived the life of a villager and therefore is able to connect with them. This is something our spiteful media morons do not understand. They are still busy with why Modi wave or why no Modi wave. Despite all their mental masturbation our media folks still don’t understand how and why people vote. They demonstrate their ignorance and stupidity each time a major election is around. (Read here for an explanation on how people go about it). The updated page is longer and full of the most spiteful idiots that float around our society in the garb of “intellectuals”. I say this and I say this bluntly, all of these people including the owners and editors of The Hindu would like to see Modi dead. They share the same sentiments as many terrorists and anti-nationals. There is the other gang of Rajdeep Sardesai and Sagarika Ghose who have been inciting hatred (and even violence) in their shows against Modi. Rajdeep was, on April 8, kicking and screaming as if the BJP had conspired to have Kejriwal slapped when the truth turned out different. I don’t think any more proof is needed about these “staged” slaps which seem to produce a lot of money for Kejriwal & Co. And the Category5Moron has been provoking Muslims from Jamia to Chandni Chowk to Meerut to Vadodara. These and some others would also like to see Modi dead. They are desperately screaming on their channels every day and night hoping some major accident will happen politically or physically that will kill Modi. That is some revenge they seek for imaginary crimes. I doubt voters are thinking like these people are thinking and expect them to suffer more heartburns in due course. Christianity is not known to encourage body tattoos or piercings. 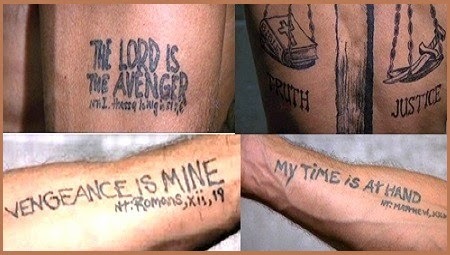 But over the years tattoos have become popular in their culture too, especially with Biblical messages. Some good and some a reminder of “things to do”. It is the Christian belief that the Lord will avenge sinners and criminals on behalf of the believers. Here’s the vicious Max Cady ready with his vengeance messages for 14 years of prison he feels was the consequence of a lawyer who did not defend him well (Cape Fear). At a strip search at a police station a detective remarks “I don’t know if I should look at him or read him”. 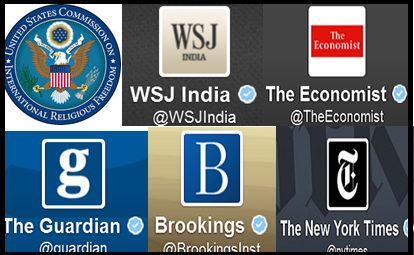 In the last few days, the 11th hour as I call it, there has been a flurry of activity from many foreign journals too. They too have been busy spewing venom against Modi and warning how Modi is a danger to India, particularly to the minorities. It isn’t just the journals, even the US Minority Commission hurriedly organised a meeting to make an appeal to Indian voters. Most of the writers of the articles in these Hindu-hating, clandestine Christianity-promoting journals are Indians from the same stables similar to The Hindu, CNN-IBN and NDTV variety. Their motive is clear: Keep India down, keep it corrupt and have their stooges like the Congress in power. And each time these motivated criminals put out an article our local town criers devotedly tom-tom their messages. Sagarika was quoting “The Economist” to locals at Baroda on the magazine being against Modi as if anyone gave a damn what that magazine thinks. In the end the crowd at Baroda ended up shouting “Modi, Modi, Modi” and it must have caused more pain to Sagarika. When news channels and print media become political campaigners instead of observing, reporting and commenting, the people start sensing it. I have maintained a long time that the MSM is the first line of defence for the corrupt. In the death of Congress and its clones, they see their own death. It is not just those upper middle class or rich people who recognise the media for the liars they are but even the modest daily-wager auto-driver recognises it. “Vengeance is mine” says the Lord for the Christians. However, in these elections from Muzaffarnagar to Mumbai, from Varanasi to Vadodara voters are seeking revenge. They don’t just want to throw out a corrupt Congress govt. They want revenge at the ballot and something tells me they will get it too. The media’s corruption too has run its course. 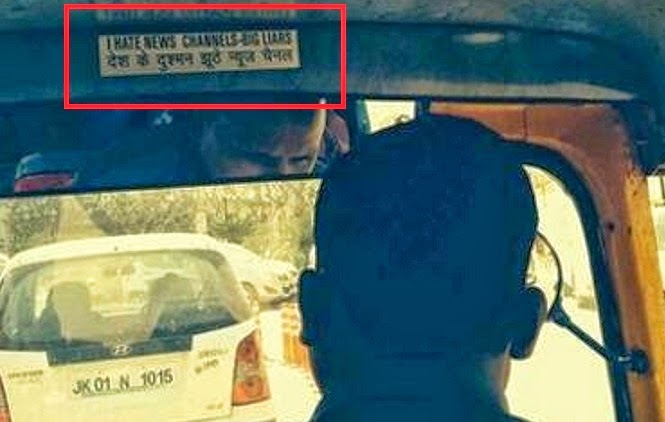 The auto driver’s sticker in the pic as a constant reminder says it all. The sustained anti Modi bias of the media is nauseating . It seems there is not a single channel, newspaper , magazine that is not peddling lies, hatred against Modi ( including so called supporters like zee ). Also I am not sure why msm continues to talk of Muslim electorate , dalit electorate , caste based electorate ?? Why are they dividing people or even showing divisions amongst people and not the real truth ?? We as a nation cannot afford to think along partisan lines . Divided we indeed fall. Narendra Modi is a breathe of fresh air in an otherwise starkly polluted environment. The MSM and congress itself have created the Modi wave . They are loosing their own credibility as every day more and more people join the Modi bandwagon . People are desperate for an incorruptible nationalist who is also pragmatic . Modi is winning because there is no competition as others are busy dividing and distracting attention to non issues . very true . Just finished reading TOI this morning . It felt like reading a hate speech against modi. Top three articles have something to do with anti-modi. Are they so afraid of him that they wish to dig into his personal life to vilify him. I'm sure if they dig into the ruling party's personals they will find out much more spicier stories that will sell like hot cakes ( Tiwari for instance ) . The media has also completely blacked out corruption cases of UPA and their other failures ( inflation, economic slowdown ) . 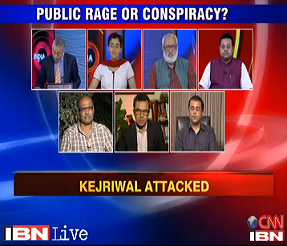 They give more airtime to AAP, UPA spokespersons that talk utter rubbish against Modi/BJP. I hope BJP takes sweet revenge against Media. And it need not even be a witch hunt or dirty. All BJP would need to do is instill standards around reporting and news coverage ( across various issues ). Whilst the crooks of media are convoluted and corrupt, the damage is aggravated by mediocrity, incompetence and nepotism in media. there is no mirror to show these media criminals/ morons the reality, if not for the social media. But still they are feeding as per their agenda. How can they be shown their real place? Let me tell you,I belong to a small town and even AAMest of the AAM aadmi living there, is calling media people as useless idiots. Alas these so called 'Jouros'. Ignorance is a bliss. I wanted to say the same thing. I thought Arnab was kind of little bit balanced, past few weeks I have seen him being more psuedo secular than secular. He has no guts to take on Subrahmanian Swamy( the smooth hitter) he just like that avoids him. He has guts to take Sri sri for an interview and as if he is god himslef asks questions, but no guts to get some one from mul community head and take him to task like that. If these secularistst are pandering so much dont you think it will hit them back reverse by Hindu consolidation of votes. Simple logic dont push anything so bad that it back fires on you. Now it is double jeopardy for congress and their slaves in the media. it is TINA plues Hindu consolidation of votes. that means I think BJP by its own can form the govt. Thank you Ravinar, I am like everytime come to your blog to see something new everyday but get dissappoinnted when there is not a new one. I do understand it takes so much of effort fo to parda phash of these jaichands. finished reading the blog at 5.15AM...brilliant piece again...have been trying to tell friends to read media crook blogs.....please ensure these blogs are getting widest access to the voters during the polls , YE SAMAY KI MANG HAI! It's upto people like you and me to ensure these blogs are reaching widest audience.. share on twitter/facebook/google+ to your followers. That's what ensures widest access. Great and insightful as always. Thanks for making my day. Can we have whattsapp friendly version of your blog to make it viral over there? To spread the word on WhatsApp, share the link along with interesting snippets from the passage. Make a broadcast list and send to them. Please describe step-by-step. I am too new to whatsapp. Ravinar sir! What would we all do without you? How beautifully you articulate, so very enlightening, honest, candid, incisive, accurate, engaging, objective, unbiased. Like someone had said, time you started a TV channel or joined one to cleanse the MSM and bring 'NEWS' Thanks for being there and all these posts on the blog. A bunch of bathroom intellectuals. Who are they? Never heard of them. Are they even Indians. The Hindu, should change their name! 99% of these MSM morons must be behind bars for inciting communal disharmony! Every Moron in MSM is bitten hard by the ground realities & is finding it hard to bite the proverbial bullet! Modi way or not, their days as pimping agents for the west & the Chinese Gandhy's are over. Modi should win this time. There are many groups / associations ( of doctors, teachers, traders, hoteliers etc ) which have suggested to its members ( informally ) to vote for midi and therefore bjp/nda. Just like farmers in the above article , so too sensible people have made up their mind . It is vote for modi this time. It is also possible the result will be a positive surprise for many ( 300 plus for bjp ) . Ab ki baar modi sarkaar. And on the possibility of anything leading to physical harm to him / his well being , Indians in vast numbers are praying and I am hopeful that the prayers will not go waste. It is the media which is doing an inception of such thoughts , stroking negative emotions. After all there are consequences for foolish acts and it is this fear of the repercussions that keeps peace . So let us hope for the best, put such negative thoughts behind and help one another in ensuring Modi gets a comfortable majority . Even Muslims know that Modi is good for all Indians . It is media that is hijacking agenda , distorting the truth, creating fissions . And soon enough, even they will face their comeuppance for being so contrived and petty. You have not only opened the eyes of many Indians to the insidious and devious shenanigans of MSM and Congis, but have shaken them out of their stupor to such as extent that they are all extracting their "revenge". This "revenge" has taken the form of mail forwards, Facebook postings, tweets and in many cases, ground-level campaigning to throw the vile family and the party it controls out of power. When NDA comes to power (it is no longer 'if'), I can confidently say that your contribution to it will be immense. And since this will be the beginning of a new, resurgent India, you are helping script one of the glorious chapters of our beloved country. And we are all grateful to you for that. And yes, you are right - it is the villagers who are far smarter than the urban, educated middle-class. 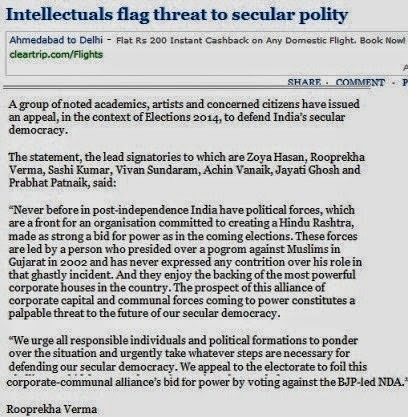 Ensconced in their comfortable drawing rooms, lulled into a false sense of security with a cushy job and bombarded with sustained MSM propaganda, most of these idiots (needless to say, Hindus) are deluding themselves and worse, trying to educate others on the virtues of "secularism", "aman ki asha" and all such drivel carefully planted by MSM. Thank God for the wisdom of the villagers of India and that section of the middle-class that has awoken and who together will define the outcome of this election and contribute to the rise of a new India through their timely "revenge" at the hustings. Pls watch this piece by loose cannon Suzanne to the Chicago Audience.The opening sentence itself says that The Kar sevaks on their return from Babri structure demolition reached Gujarat and then their train went up in flames.It takes 10 yrs (1992 to 2002) for a train to reach Godhra from Ayodya. Indian Railways must note. Thanks . Saw the video and exited halfway thru ( could not tolerate her blatant lies ). RSS /BJP should sue her in an Indian court for spreading disinformation . And the time is now. Irrespective of outcome of elections . Intact it would not be inappropriate to even sue the CNN inns, ndtvs, headlines today, times now of the world for creating ( and encouraging ) religious divides, caste based divides , encouraging voting along religious, linguistic, caste lines . India tv recently even blundered in sensationalizing the death of a wrong crpf person. I believe offense is the best form of defense against known perverts . The way the very thought of NaMo torture these worthies; I wonder if some of them are going to press Lotus button by mistake? Modi should win BIG...with a DECISIVE majority. I can't even imagine the situation in case of a hung parliament. Folks like us may just have to go and live in forests to get away from the wheeling-dealing that will follow...or even the gloating. Waiting for the 17th..to take my REVENGE! Superr! Another brilliant article by Mediacrooks ! 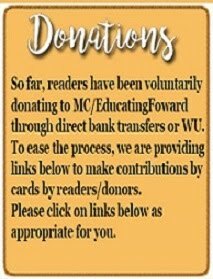 Your contribution is immense & is being appreciated ! Respect for you. Very aptly put, the way which is possible to Ravinar ji only. Thanks that you are Robin-hood for people like me who are severely frustrated with the news fed to me but can't do anything to strike back those crooks. In a way, REVENGE. Vote for India. Vote by @mediacrooks. U can believe 100% in his analysis.May India Win. Ram was an SFI leader but, as a leftist, thought nothing of partaking of the family news business. Unlike other trades, leading news business requires some basic writing and analytical skills and a wide knowledge of the world and, if the aim is to be a political “expert”, good knowledge of world and local politics. Evidently, the lack of these skill sets has never deterred Ram and his family members in The Hindu business from vying for the top post. A C5M like Malini P thinks knowledge of English is the most important qualification for an Indian PM aspirant. As for Ram, he and his co-hammamis should drown in the same hammam soon. Ravinar, great article as usual. Hats off to you for relentlessly baring MSM chamchas and dalal media. NaMo has already got momentum and will sustain it. Now the congress and NaMo haters in MSM will eat humble pie. NaMo will definitely get a decisive majority and I am sure BJP on its own will cross 300 seats. Recently, one of my friends who's into active campaigning pointed out how some political parties try to hoodwink gullible rural population...when a campaigner came to a village, the people said they would vote for Modi...this man told them, "Yes, I'm also a supporter of Modi and have come to ask you to vote for him...please ensure you press the button next to the symbol of the bicycle to ensure Modiji wins"...My friend also says there are places where people have confessed to being confused because the symbols they see in the pamphlets are in colour whereas the EVM displays everything in black and white font.We must reach out to people who may get confused thus and ensure they are adequately counselled about these aspects, too. You are right. I am a Gujarati British Indian. Brit and US Media seem to get their news feeds from very limited anti Hindu sources. They call on Arundathi Suzanne ,Sagarika and the like for comments. The result is disaster for Hindus. Even Al Jazeera is in on the act. Brit papers/media are still stuck in the Raj mode. This is in secular Britain. If you can't follow the link then check out UK Daily Mail site. It is time to PUSH back. Let me tell you guys what foreign media is being writing about Modi. I have lot of persian friends in my college. Today when I met him after such a long time the first thing he asked me was, how can a mass-murderer who was responsible for killing thousands of Muslim gonna be your PM ( he hates Islam and his leaders of Iran so please don't consider him fundamentalist). Then I told him the real story behind the riots. He asked me how can he become PM when he havn't apologize for the riots then I told him about Modi's statement of being hanged if found guilty. It seems foreign media is praising Arvind Kejriwal a lot he was asking me about him. Fortunately for me Ravi ji have educated me enough to answer all his questions. But I am so sad that even foreign media channels are also spreading disinformation campaign about my home state, Gujarat. The hunger for power & Money makes these Hindus (!) short sighted. They have to constantly keep in mind what happened to the Hindus (and Sikhs) of Afghanistan, Pakistan & Bangladesh. The situation in Malaysia for Hindus is no better. Encouraging and supporting unreasonable demands of Muslims will one day put even the descendants of Mulayam and Akhilesh in danger? Can they escape saying their ancestors were more a Muslim than Hindu? No! They will be surely butchered. Only escape route may be converting to Islam? Do the next generations of the Yadavs understand this? If not why don’t they advise their elders properly? They have to understand that Bharat is not a goose that lays the golden eggs. When Modi floated this term “secular burqa”, entire secular crowd was at his throat. Here we clearly explain what a secular burqa is. Hindus can blame themselves for this sorry state. If 75% unite to vote these fellows out, even once, the definition of secularism can be changed for next 100 years at least. Secular Hindus keep talking such rubbish because they are yet to HEAR the voice of true Hindus. I agree with you, however you would need to find answers to the question What is there in it for an honest Hindu ? ?why would anyone want to be Hindu or promote Hindu interests over their immediate self interest ?? And other religions ( Christian and Islam in particular ) dole out money, jobs , influence to promote their interests, increase their flock - what does Hinduism do ( or rather allowed to,do ) to maintain its flock??? idealism is thankless . It is a very selfish and insane world. aap is funded by ford foundation. Rajdeep, prannoy Roy, Sonia gandhi are Christians , many Hindus in western coast are converting to Islam for,jobs in middle east, mulayam and co rule in UP because of their pro Muslim bias, English mainstream media emulates the Christian west - so what relevance does Hinduism have when they are not even united nor have any clarity nor priorities ??? Very correct indeed. People like Rajiv Malhotra and Swamy Ramdev explains very nicely what Hinduism has to offer. I would suggest you try to listen atleast one lecture by Rajiv M and Ramdevji in youtube.I try to wake up at 6am, play one of the lectures for 1hr and side by side do pranayams. I also suggest you read books by by Rajiv Malhotra and complete works of Vivekananda. To defend dharmic traditions, one has to know what dharmic / hindu philosophy is. We need to do our homework first. And if Modiji becomes PM with 300+ seats, he should try to make relations with Japan and Israel. Superb article Ravinar. I haven't seen any news channel even mentioning any congress scams in last 2 weeks. It's not just US & westernized indian press, Germany also recently called NaMo 'a racist' Germans who have lost any moral authority to call others 'racist', with deeds genocide by Hitler, calling NaMo racist is a big joke. Imphal, April 09 2014: Alleging that NSCN-IM and underground groups under SoO pact have captured around 57 polling booths during the Outer Manipur Parliamentary constituency election which was held today, Th Chaoba, President, BJP Manipur, submitted a letter to the Election Commission of India (ECI) demanding repoll in the stations where the booths were captured. Does 'tyranny of distance' affect BJP leadership also?? After all it is the actual votes cast for BJP across India which will decide if they form the govt. This must be one of your bluntest and crackling article. And fittingly so, since the topics of hatred and revenge are strong human emotions. And the REVENGE of ordinary people through vote is the most satisfying and fitting reply to years of relentless hatred perpetrated by Congress, media and other establishment cronies. This line “That is some revenge they seek for imaginary crimes” left a lasting impression on me. It exactly captures the nub of the attitude displayed by media, self-certified intellectuals towards Modi. The obsessive and compulsive hatred towards one individual that feeds itself of even imaginary crimes to sustain that hatred. I doubt whether these worthies realized when this corrosive hatred for Modi transformed them into psychopaths that ultimately made them want their object of hatred to be KILLED or DEAD. It is a sober lesson to be learnt by all on the horrifying effect of compulsive and obsessive hatred against anybody. Once again you deserve all credit for relentlessly showing the mirror to media whereby if not the media, but the viewers and readers are now more awakened and AWARE of the lies peddled by the media. I see more and more people use your blog as a “Media WiKi” and quote it to question the media celebs, which even led Rajdeep to confess that “he is mentally tortured in SM”. Is BJP going to find an alternative canditate to file nomination for Srinagar? No alternative candidate here too? How many BJP candidates have withdrawn even before the election has started? Are they trojan horses of Sonia Congress? brilliant article. this is true journalism. What the whole country is feeling, the whole news and print media is trying its best to neglect it and change it. Ravinar, please keep up the good work. I hope more and more people read this article and remove any influence from paid media. As the election approaches, these anti-Modi groups get frustrated, agitated and revengeful. They have tried every tricks in their bags. Lately, they have resorted to show sympathy for their life long enemies. First they show bleeding hearts for Advani, Sushma and Jaswant. When it did not work they went one step further and even showed some crocodile tears for RSS (will RSS be same under Modi? they asked). When it did not work, now I see sympathy for BJP (will BJP control Modi or vice versa? they asked). Their hatred for Modi has gone up so much that they would not mind super majority for BJP, if they could somehow eliminate Modi (and BJP get super majority through sympathy votes). I voted at 8 AM itself and voted for BJP. I have taken my revenge. Hope you all have done that or will do that. Their panic is sure sign of what is happening in and around polling booths across the country.congress and its cronies are loosing big time.Not only that but voters are anointing a man who is one of them.For the first time since independence, voters will have a man of their own and not that of "establishment".so the entire establishment is up in arms against one man. In your previous blogs you predicted that AAP and Kejriwal are heading in the direction of violence. I'm glad that the violence in on him by the way of slaps and more slaps. And this is the same The Hindu which on 4th April published a wrong Indian map under an article criticising Modi! RW: have u been to gujarat? If not how do u know? RW: amazing hw can u decide based on media? Voter2 : I want to tell u I have been to gujarat and u can see what gujarat is all about once u enter gujarat via maharashtra, u will feel the difference. RW cuts him abruptly and takes a break. "Amazing how can you decide based on the media?" He is right. That is why the voters are ignoring media and supporting Modi. Regular follower of your articles.. I along with my family voted today not for local candidate but for Modi. We did our bit.. I trust people will vote for Modi, but one cannot trust EVM's, especially after Swamy spread the news that EVM's have been rigged. Sagarika is Intolerable. Instead of chaupal she should have been shown chappals! Ravinar she really is "crook" in every word! Good job as always. hope you write about SP venom. Gr8 article as ever.Watching news channels is becoming very frustrating these days. Their bias is visible. "Dabang, Bahubali, Don" words used by them for criminals is questionable. "Secular" used by most communal & divisive people is also encouraged by these media morons. Some people who are an open threat to Indian Democracy are endorsed by them. Ravinar ... thanks for the write up. It's awesome. I bought a TV out of sheer curiosity out of your blogs about MSM(we didn't opt4 one for a decade) only to find that they are more venomous and nauseating than a person as you with such precision/accuracy could put thoughts into words. C5M,DeepshitDesai,BurqaD n ArabGoSwamy could be tolerated for anything less than 60 seconds!! My hard earned 50k is lost out of this curiosity of having all these morons in my living room evening after evening. Am happy it serves my purpose to see NaMo taking oath live, right in my living room-worth the money spent on a TV. Recently MSM have got new fodder, to corner Modiji on his marriage. 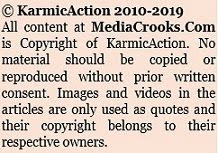 Expect your blog on this latest tamasha. The Hindu paper supported Wendy Doniger for her right to free speech. Did they support Ayan Hirsi Ali for free speecn? Have you read about what happened to Ms.Ali? During Indira Gandhi and Rajiv Gandhi period news papers like Indian Express and Statesman were critical of the Govt wrong policies and openly criticized them.Since UPA came to power MSM, both print as well as Electronic media are hesitant to discuss the scams and corruption of the Govt.It seems Sonia Gandhi is more powerful than her Mo-in-law or her husband.and one more thing i am from Bangalore and i heard from my maid that in her area some people are spreading rumours that if BJP govt comes to power each family has to pay Rs1000.to the govt. I tried Indian Express, Hindu, Times of India and now reading Deccan Chronicle.. all are the same. Not sure which paper can give me an unbiased read. In Deccan, each day is an Anti-Modi campaign running in full force. I have never seen anything good written about Modi or BJP or RSS or Hindus.. I take refuge in your blog to find something sensible. Reading the comments and looking at the hits that your page generates, I know that there are quite a great amount of people who share my feelings. I can hear the voices of people like me who are suffocated by the MSM crap dished out over various television channels all day, every day. Thank you Ravi for instilling great pride in our minds of being an Indian and a Hindu. Vande Mataram. Try Pioneer, New Indian Express, NitiCentral and FirstPost.Better you follow journalist through their blogs before India turns into another China/Turkey if surprisingly again congress comes to power. Arun Shourie, S Gurumurthy, Swapan Dasgupta, Kanchan Gupta, R jagannathan are some of the best. The famous comedian of Tamil Films Vadivelu will use a slang word Arambichutangayia Arambichutangayia expressing annoyance on some nonsense has started. Excellent article as usual.... we are seeing this in the South in the last few years as they ramp up on the coastal areas. BTW, I would say we should look out for an all out, last ditch desperate attempts by Sonia and her elk to win this election. Wouldn't put past her to come out and have Rahul cry his heart out in a press meet announcing her fight with cancer and impending death, blah, blah.. and how he has to shoulder all responsibility... and Priyanka will step in and suddenly the emotional chords will start striking... nothing can be put past this horrible, degenerate group. The Hindu has become an yellow magazine in politics!!!!! After election the readership will of this scoundrel paper will DIP from which it will never recover since it has no other go except to cover Mr. Modi as PM of India !!!!! !